PayPal is awarding 3 businesses with $10,000 and a makeover from one of their partners. Believe you have what it takes? VISIT PAYPAL.COM/TWIST TO LEARN MORE & enter by July 30th. News Roundtable! 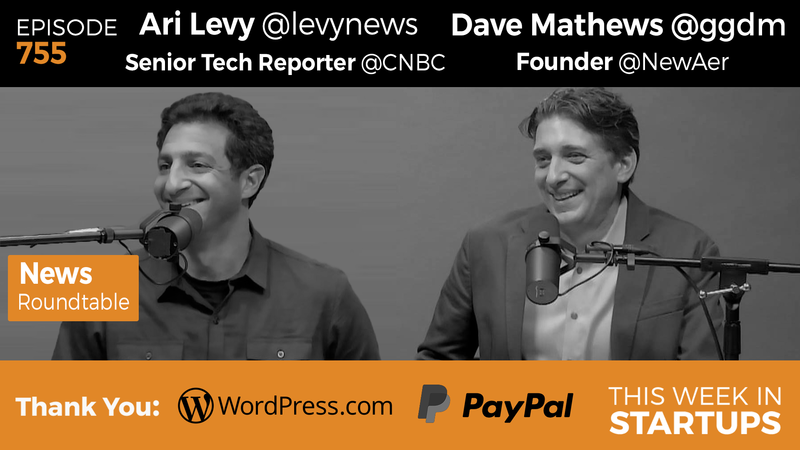 Ari Levy (CNBC) & Dave Mathews (NewAer) are in the studio to talk with Jason about the latest tech news. On tap: the CEO rebellion against Trump’s advisory councils, Cloudflare and the regulation of content on the internet, Amazon and its third-party sellers, Snap and Blue Apron IPO’s, Uber’s deal with the FCC, and the latest in Bitcoin.